X-Photographer Supalerk Narubetkraisee from Thailand shoots with FUJIFILM GFX 50S and GF Lenses. Watch the photographer in action and hear what he thinks about the new GFX medium format mirrorless digital camera system. 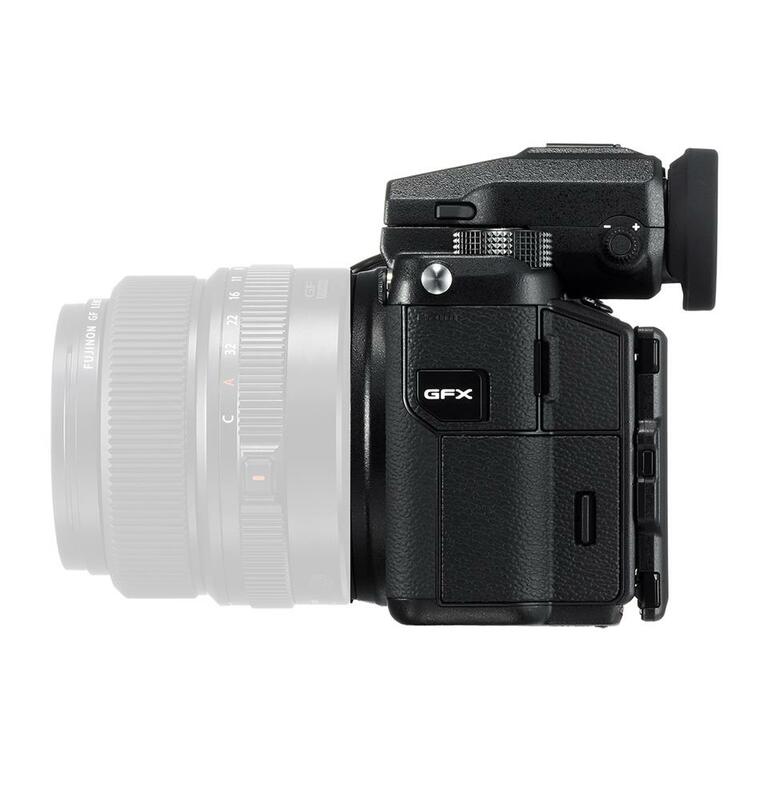 The GFX is an all-new mirrorless camera system that revolutionizes the concept of medium-format cameras. Compared to conventional medium-format digital cameras, the GFX is astonishingly lightweight and compact, and its dust and weather resistant body gives it the durability required for outdoor shoots. A collection of accessories that meet the needs of photographers, including a vertical battery grip and a rotary adapter that can rotate the detachable electronic viewfinder to any angle to suit any scene will be launched at the same time. The camera also supports tethered shooting, which has become an essential part of the professional photographers' workflow, and will be compatible with various RAW conversion application software. 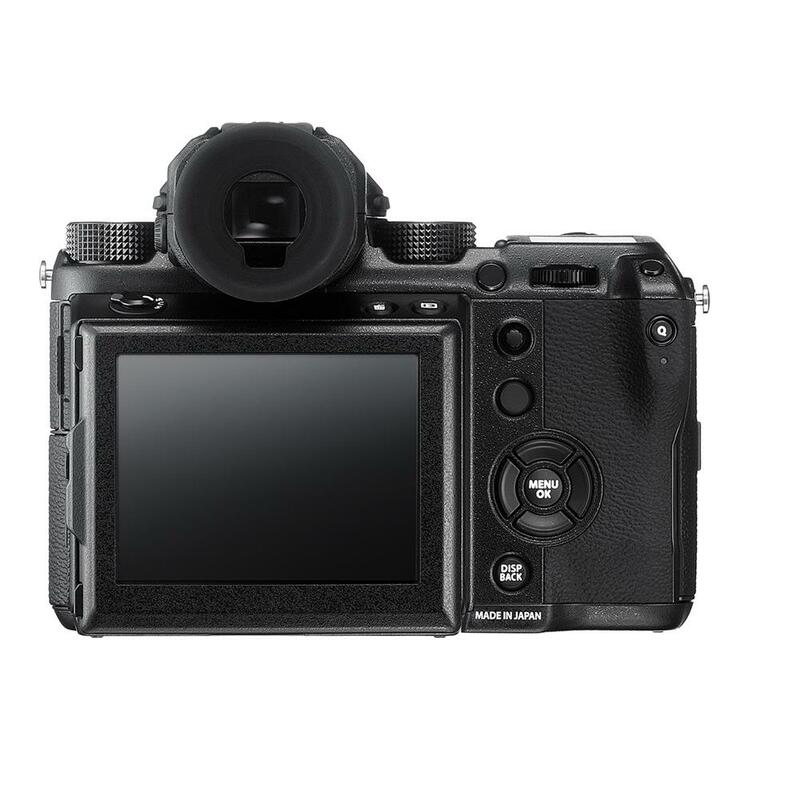 The FujiFilm GFX 50S combines outstanding resolution of 51.4 megapixels with exceptional tones, advanced colour reproduction and high-performance lenses. The world around you changes the moment you hold this camera in your hand. Dust-resistant, water-resistant and freezeproof to -10°C. The GFX 50S body is made from robust magnesium alloy, which feels both solid and durable in the hand. The body is weather-sealed in 58 points to achieve a high level of resistance to dust and moisture. The GFX 50S is compact and lightweight despite the large size of its sensor, plus its dust and weather-resistant body means it's equally effective in the studio or out in the field. X-Photographer Jan Gonzales from the Philippines shoot cars with FUJIFILM GFX 50S and GF Lenses in warehouse setting. Watch the photographer in action!! The GFX 50S features a 43.8x32.9mm CMOS medium format sensor: a product of Fujifilm's rich history, cutting-edge digital technology and extensive knowledge of medium format cameras. Both the shape of the light-gathering micro-lenses and the processing from the photodiodes have been optimized to achieve a high level of sharpness and broad dynamic range. The lowest native ISO sensitivity of 100 and the 14-stop dynamic range, achieved with 14-bit RAW data, delivers high definition images in a variety of conditions with notably rich skin tones and intricate foliage detail. The GFX 50S sports the X-Processor Pro image processing engine, capable of drawing the very best out of the 51.4 megapixel sensor. Its advanced processing accelerates and optimizes the camera's performance in a variety of areas including stunning colour reproduction with Fujifilm's unique Film Simulation Modes, in-camera RAW conversion to the 8-bit TIFF format, accurate contrast AF, quick startup time, and minimal shutter release time lag and shooting intervals between frames. Developed with Fujifilm's colour producing know-how over 80 years of photographic film manufacturing, Film Simulation allows you to reproduce a variety of colours and tones as if using different photographic films. The design and manufacturing expertise nurtured over many years of FUJINON lens development has been used to produce lenses with the world's highest level of image resolution. 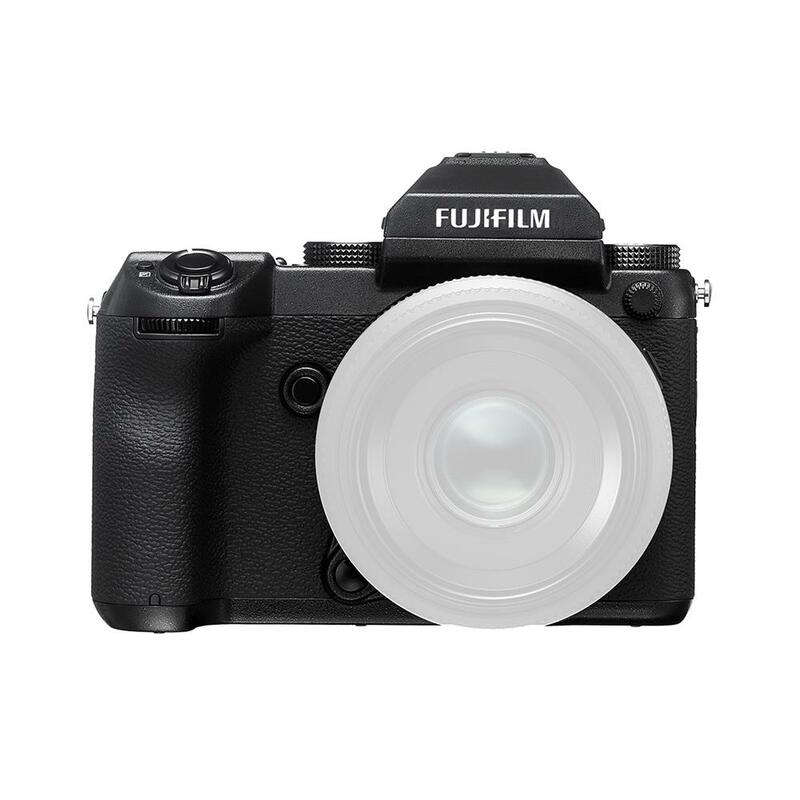 Unique to the new GFX, Fujifilm has developed a new "G Mount" with a short flange back distance of just 26.7mm, an advantage of the mirrorless camera system. 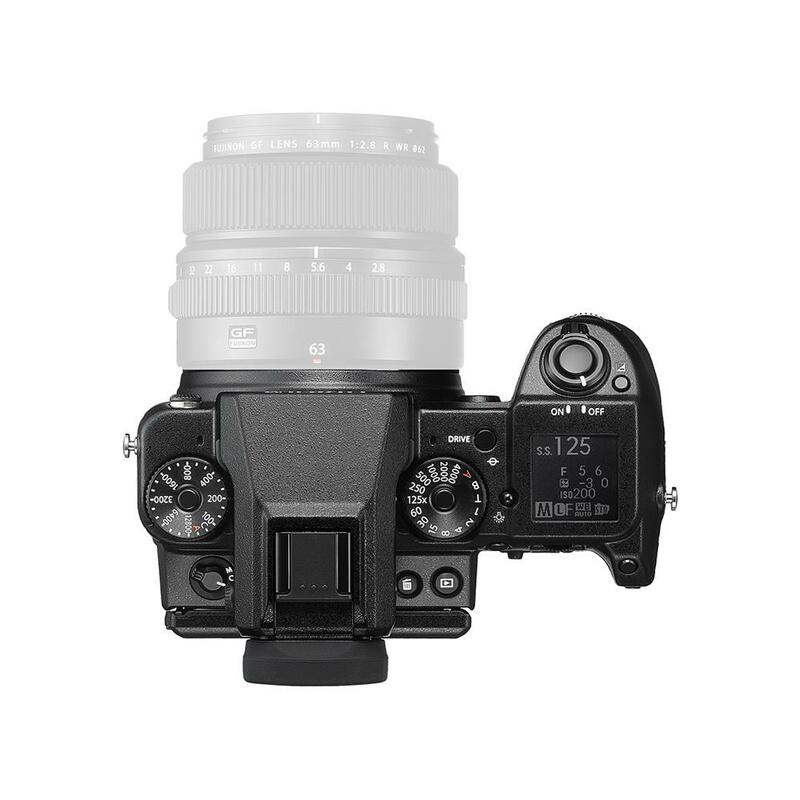 Initial lens lineup includes a standard prime "GF63mmF2.8 R WR" (equivalent to 50mm in the 35mm format), a wide-angle standard zoom "GF32-64mm F4 R LM WR" (equivalent to 25-51mm in the 35mm format) and a mid-telephoto macro 1:0.5 "GF120mmF4 Macro R LM OIS WR" (equivalent to 95mm in the 35mm format). Bulb mode (up to 60 min), TIME-60min. - 1/16000sec. 2 sec. , 10 sec.